Global governance of displaced and trapped populations, forced migration and refugees is not prepared for the numbers likely to manifest under a changing climate. G20 has responsibility to prepare, push for reform, and initiate annual reviews to enhance a humanitarian response to aid climate mobility. International policy and law build on the false assumption that displaced people and refugees can return to their place of origin when conditions improve, conflicts subside or homes are rebuilt. This cannot hold for many of those affected by climate change. Climate-induced migration is a broad phenomenon that defies existing definitions. Climate-induced disasters may cause sudden flight; desertification, sea-level rise, ocean acidification, and more frequent flooding may erode livelihoods slowly; conflicts aggravated by environmental change also produce “climate refugees” or migrants. Governance reform is therefore needed to strengthen rights and obligations of peoples and govern­ments in countries of origin, transit, and destination. “Climate refugee” is controversial, because it does not capture the diversity of situations those strongly affected by climate change can find themselves in, and because of the specific legal meaning of “refugee”. The G20 Leaders should recognize that forced displacement due to climate change will increase – both within states and across borders. Some of the displacement will be protracted and may become permanent. Some people will be unable to return but also unable to move on, becoming “trapped populations” (Findlay 2011). In some cases, planned relocation or resettlement may be the only strategy to save lives. An effective response requires specific policies and international cooperation to assist, protect and provide durable solutions for those displaced by climate change, manage climate risks for those remaining and support opportunities for voluntary migrants adapting to climate change (Wilkinson et alii 2016a). While most cases of population displacement triggered by extreme weather events are currently of limited duration and involve people moving only short distances within national borders, this pattern is beginning to shift as global overheating results in irreversible environmental changes, making more areas uninhabitable. Several billion people live in areas where they are expected to be severely affected by climate change in all parts of the world. Impacts of climate change are both ubiquitous and synchronous and can thus overwhelm seemingly stable and resilient communities and even exacerbate conditions that increase the likelihood of state failure, conflict and therefore flight (Peters & Vivekananda 2014). Absent future policy interventions to prepare for these risks, the estimates of climate and migration numbers are daunting. No firmed-up and reliable estimates of potential numbers are available to date (Gemenne 2011), despite the best efforts of the International Displacement Monitoring Center (IDMC 2015, 2016). The United Nations International Organization for Migration (IOM) gives a range of 25 million to 1 billion for the year 2050 at https://www.iom.int/complex-nexus#estimates. Smaller estimates are generally based on narrow definitions. Numbers are more likely to rise than to fall. Migration – as opposed to flight – is one form of adaptation to the longer-term effects of climate change, and will grow as climate change accelerates and its impacts become more severe and widespread. The G20 needs to prepare global institutions and mechanisms to cope with increasing flows and waves of climate-induced migration triggered by sea-level rise, desertification, and loss of ecosystem services, including water supply and food production in ever larger areas. Decisions to move are complex and not limited to climate-change impacts. Often drivers are economic, while some will be caused more directly by conflict and instability where the stresses resulting from climate change contribute to the destabilization of societies and governments, or aggravate pre-existing or induce new conflicts. The current legal, institutional and financial arrangements and mechanisms for international policy coordination do not provide a sufficient institutional infrastructure for managing the expected increase in climate-induced migration and flight. There is currently no single institution that could take responsibility. Reforms are needed to facilitate new approaches and better coordination in humanitarian assistance, development cooperation and capacity building, the rights and obligations of countries of origin, transit, and destination of the migrants (whatever their legal status), and new mechanisms for integrating arriving migrants into the recipient societies. Following the commitments made 2016 in Hangzhou, the G20 should establish a process of continuous communication, policy coordination, and reflection on climate-induced forced displacement, and review progress at its annual G20 Summits. The Presidency of Germany should ensure that the issue is firmly established in G20 work streams, and establish effective follow-up and preparation for future presidencies. Germany should help the subsequence G20 presidencies of Argentina and India to continue and institutionalize relevant work streams. “Looking at the world today, we can see strong signals of what the future may bring: unprecedented climate risks and natural resource stress, continuing refugee crises, and responses from governments ranging from welcoming with open arms to watching as the most vulnerable perish. Long-simmering and emerging conflicts will not be solved overnight. Stresses on water and food, and the inability of governments to provide these basic resources for their citizens, are not going to go away. The growing and multi-faceted push and pull drivers of migration are not going away either. These challenges we can foresee. But with foresight comes a ‘responsibility to prepare’, and to do so in a manner that is consistent with our values” (Werrell & Femia 2017). Given there is no international mechanism or institution taking this role, the responsibility to prepare the world for larger numbers of people in protracted or permanent displacement resulting from environmental change falls to the G20. Most recently, the United Nations General Assembly (2016) “New York Declaration for Refugees and Migrants” highlighted the importance of climate change, environmental factors and natural disasters as drivers of migration and flight in its first paragraph, but then fails to provide specifics. With its lack of specificity, it reveals limitations in dealing with the large and growing number of climate-induced migrants and refugees. It has no legal force yet it will shape expectation on the future evolution of international governance of migration and refugees (Ribble et alii 2016). Despite the attention they receive in various policy communities and the press, climate migrants remain a “blind spot” in international governance. International climate diplomacy has also taken up the issue. Building on decisions adopted, for instance, 2010 in Cancun and 2012 in Doha (Martin et alii 2015), the Paris Agreement of the Conference of the Parties (COP21) to the United Nations Framework Convention on Climate Change (UNFCCC 2015) addresses “displacement related to the adverse impacts of climate change” in its section on Loss and Damage (para. 49-50). It calls for the creation of a task force to complement and build upon the work of existing bodies and experts with the aim of developing recommendations, and to report on progress thereon in its annual report (Toussaint 2016). The UNFCCC decisions are based on the understanding of the impacts of climate change and the need for policy responses documented in the reports provided by the Intergovernmental Panel on Climate Change (IPCC). In its most recent 5th Assessment Report (AR5), the IPCC (2014) concludes: “Climate change over the 21st century is projected to increase displacement of people.” IPCC’s review of the evidence indicated that “Extreme weather events provide the most direct pathway from climate change to migration” but in the longer-term “sea level rise, coastal erosion, and loss of agricultural productivity … will have a significant impact on migration flows” (Martin et alii 2015). The AR5 also highlights the need for more comprehensive evidence, collected across multiple locations and over long periods to build and test theories about relationships between climate change and livelihoods, culture, migration and conflict (Adger et alii 2014, 766-771). Over the past few years, the controversial term “climate refugees” has become an accepted (short-hand) political term to describe an urgent and growing challenge, from (then) US Secretary of State John Kerry in a speech in Anchorage, AK, on 31 August 2015 to European Commission President Jean-Claude Juncker in his ‘State of the Union’ address on 9 September 2015. The term remains controversial among experts. Some do not want the label “refugee”, with its link to persecution and specific meaning in international policy and law and rights for the individuals, to be attached to a group with very diverse reasons to migrate and dynamics of migration (Toussaint 2016). Some prefer to classify those affected under the category “forced displacement” or use more narrowly descriptive terms such as “climate-induced migration” or “forced migration” or “forced displacement due to climate change”. The use of such terms shifts the focus away from the people and their need to migrate or flee, and towards the larger phenomenon where migrants are a commodity (Gemenne 2015). Others want a broader term to include people in protracted (or de-facto permanent displacement), that may be trapped by their plight and unable to either return or move on as migrants, or face involuntary but planned relocation or resettlement. Historically, the term “environmental refugee” was used, avoiding the term “climate” in view of those who continue to deny climate change (Kristof 2017). In China, the term “ecological migrants” is used (Wong 2016). Whatever their situation and legal status, and irrespective of existing definitions and their limitations, all these groups are victims of climate change and its effects and impacts, and need various people assistance and protection policies that offer the same level of rights and opportunities for those displaced or forced to migrate, regardless of their location, and based on need rather than status (IOM, 2014; Zetter, 2015). The response requires much higher capacities than are currently available, and much better coordination. Competition over scarce natural resources. Migration is a traditional form of adaptation to environmental change, usually in a regional dynamic resulting in internal displacement and some international migration to neighbourings states (Fatorić 2014; Cattaneo 2015; Cattaneo & Peri 2016), with Africa being one area of focus (Whiting 2016). As climate change is a global phenomenon, its impact and instances of climate-induced migration can be observed in many different locations (Milan et alii 2016). Conflict – induced or aggravated by climate change – is another dimension. Climate change and other aspects of global change are driving involuntary migration, both directly by forcing people to leave their homes or abandon their fields, and by aggravating existing tensions and conflicts (Newland, 2011; Afifi et alii 2015; Hillmann et alii 2015; Werrell & Femia 2015, 2016; Werrell et alii 2015; Null & Herzer Risi 2016; Schleussner et aii, 2016). Recently, another, altogether worrying development has been observed: Displacement of people may be caused willfully in the conduct of war, becoming migrants or refugees moving in waves and destablising other regions. The phenomenon seems to be ‘weaponizing’ migration – as it was termed in the press – in a new form of ‘hybrid warfare’ (Roell 2016). The result may be a new form of migration that neither “economic migrant” nor “refugee” capture adequately. This new form of involuntary migration is about survival from the forces of nature as well as from conflict. International rules and domestic legislation pertaining to migrants, refugees or asylum seekers are not adequate for dealing with a phenomenon that may become much more prevalent as global change accelerates. One of the fundamental weaknesses of the current international regime for displaced people, migrants and refugees is the assumption that migrants can and will return to where they came from once the conflict has subsided or the recovery phase after a natural catastrophe has been completed. The rights and obligations of migrants and refugees, of the countries of origin, transit countries, and host countries are all formulated based on that assumption. (There are no “destination countries”.) In the case of climate-induced involuntary migration, where environments have deteriorated and become uninhabit­able, the assumption is patently untenable: migrants will never be able to go back to where they came from. They cannot be considered refugees in the traditional sense of the word; we may need new words – such as “survival migrants”– as well as new legal concepts and rules in a future international governance regime for displaced people, migration and refugees. Williams (2008), McAdam (2010, 2011, 2014), and the various contributors to Couldrey & Herson (2015), among others, highlight the lack of suitable international regulation for the protection of persons that displaced, involuntarily relocated, trapped, in migration or flight as a result of climate change. Remedies are proposed in the form of regional instruments (e.g. Arboleda 1991), voluntary guidelines and initiatives (such as the Nansen Initiative leading to the establishment of the Platform for Disaster Dis­placement), a global compact on migration (Wilkinson, Kerbyshire et alii 2016), legal instruments such as proposed by Prieur et alii (2008) or Warren (2016), the reinterpretation of human rights instruments (IOM 2014), and through grassroots level action such as Displacement Solutions (Toussaint 2016). “Climate mobility” (or migration in all its forms and definitions) should therefore become a recurring item on the agenda, and the G20 should establish a process and review progress to ensure that it acts on the responsibility it has recognized at the 2016 Hangzhou Summit (G20 2016, no. 44). Call on the United Nations International Organization for Migration (IOM), the International Displacement Monitoring Center (IDMC), the United Nations Environment Programme (UNEP), the Executive Committee of the Warsaw International Mechanism for Loss and Damage, and the Platform for Disaster Displacement to submit (joint) annual reports to the G20 on the dynamics of global environmental change and the temporary, protracted or permanent displacement of people. The governments of the G20 countries should commit the necessary resources, and establish clear responsibilities for “climate migrants” and other permanently displaced people in their governments as a precondition for improved international coordination, including planned relocations and resettlements. Call on all relevant international organizations for improved coordination of (short and medium-term) humanitarian assistance following catastrophic events, anticipating such to occur with higher frequency and severity. The G20 should push not only for better preparedness and more investment in response capabilities, but also improved coordination in capacity building. Scale up, through bilateral cooperation and international organizations as well as in their own countries, coordination of medium to long-term efforts to help “climate migrants” to make new homes and integrate in the communities of their locality, region or country of destination. This should include the documentation and dissemination for transnational policy learning of good and best practice in policies and programs to strengthen the destination countries’, regions’ and societies’ capacity to receive and integrate rising numbers of “climate migrants”. This should include interventions aimed at countering anti-immigrant sentiment, highlighting the positive economic, cultural and other contributions migrants can make, and developing positive sentiments and a welcoming culture (Saunders 2010) as a foundation for effective policies for the integration of rising numbers of displaced people and migrants of different kinds. Call on all relevant international organizations and government departments to prepare for rising numbers of “climate migrants”, and initiate reform of international governance of forced displacement, involuntary migration and refugees. This should include updating the definitions of migrants and refugees to ensure that their rights and obligations, and the obligations of countries of origin, transit and destination reflect the coming realities and provide a helpful framework. The limitations of existing definitions and (legal) distinctions must not be allowed to stand in the way of effective, coordinated action. Migration and refugees are an issue of heightened domestic policy concern in many countries, but one that needs to be addressed, in relations to neighbouring regions. As the impacts of climate change and the emergence of ever more “climate migrants” are both ubiquitous and synchronous, they require internationally coordinated responses. 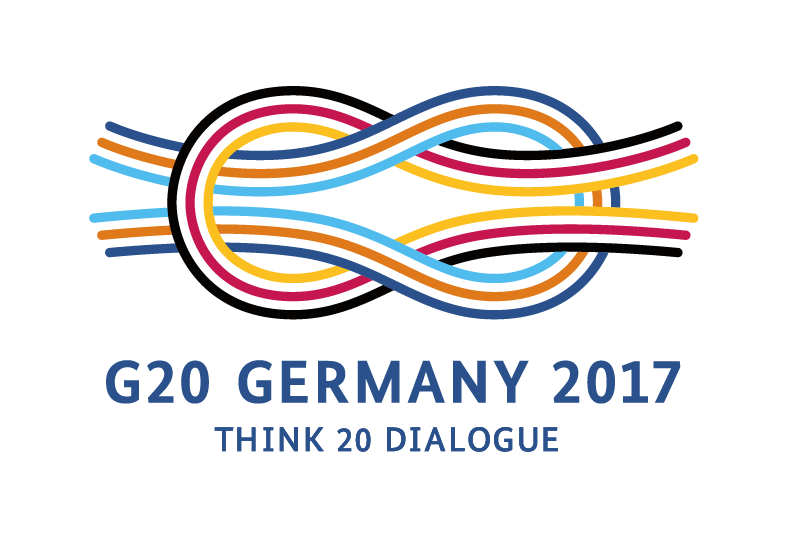 Through its presidency in the G20 in 2017, Germany can provide international leadership where it is needed (Axworthy, 2016). Following the G20 Summit in 2017, the United Nations International Organization for Migration (IOM), the International Displacement Monitoring Center (IDMC), the United Nations Environment Programme (UNEP), the Executive Committee of the Warsaw International Mechanism for Loss and Damage, and the Platform for Disaster Displacement improve coordination in their work and submit (joint) annual reports to the G20 on the dynamics of global environmental change and the temporary, protracted or permanent displacement and migration of people that it causes. The G20 countries establish clear responsibilities for climate migrants and refugees as well as other permanently displaced people (unable to return to their place of origin) within their governments and engage to improve international coordination. “Climate mobility” becomes a permanent item on the G20 agenda. Adger, W. N., J. M. Puhlin, J. Barnett, G. D. Dabelko, G. K. Hovelsrud, M. Levy, Ú. Oswald Spring and C. H. Vogel (2014). Human security. In C. B. Field, V. R. Barros, D. J. Dokken, K. J. Mach, M. D. Mastrandrea, T. E. Bilir, M. Chatterjee, K. L. Ebi, Y. O. Estrada, R. C. Genova, B. Girma, E. S. Kissel, A. N. Levy, S. MacCracken, P. R. Mastrandrea, & L. L. White (Eds. ), Climate Change 2014: Impacts, Adaptation, and Vulnerability. Part A: Global and Sectoral Aspects. Contribution of Working Group II to the Fifth Assessment Report of the Intergovernmental Panel on Climate Change (pp. 755-791). Cambridge, UK, and New York, NY: Cambridge Universiy Press. Behnassi, M., & McGlade, K. (Eds.). (2017). Environmental Change and Human Security in Africa and the Middle East. Berlin, Heidelberg, DE: Springer. Cattaneo, C., & Peri, G. (2016). The migration response to increasing temperatures. Journal of Development Economics, 122, 127-146. Couldrey, M., & Herson, M. (Eds.). (2015). Disasters and Displacement in a Changing Climate – Issue of Forced Migration Review (Vol. 49). Oxford, UK: Refugee Studies Centre, University of Oxford. Fatorić, S. (2014). Migration as a Climate Adaptation Strategy in Developed Nations (Vol. 24). Washington DC: Center for Climate and Security. Gemenne, F. (2015). One Good Reason to Speak of ‘Climate Refugees’. Forced Migration Review (49), 70-71. Hillmann, F., Pahl, M., Rafflenbeul, B., & Sterly, H. (Eds.). (2015). Environmental Change, Adaptation and Migration: Bringing in the Region: Palgrave Macmillan. International Displacement Monitoring Center (IDMC) (Ed.) (2015). Global Estimates 2015 – People displaced by disasters. Geneva: Norwegian Refugee Council. International Displacement Monitoring Center (IDMC) (Ed.) (2016). Global Report on Internal Displacement (GRID 2016). Geneva: Norwegian Refugee Council. International Organization for Migration (IOM) (Ed.) (2014). IOM Outlook on Migration, Environment and Climate Change. Geneva: International Organization for Migration (IOM). Laczko, F., & Aghazarm, C. (Eds.). (2009). Migration, Environment and Climate Change: Assessing the Evidence. Geneva, CH: International Organization for Migration (IOM). McAdam, J. (Ed.) (2010). Climate Change and Displacement. Multidisciplinary Perspectives. Oxford, UK, and Portland, OR: Hart. McAdam, J. (2011). Climate Change Displacement and International Law: Complementary Protection Standards. Geneva, CH: United Nations High Commissioner for Refugees (UNHCR). McAdam, J. (2014). Creating New Norms on Climate Change, Natural Disasters and Displacement: International Developments 2010–2013. Refuge, 29(2), 11-26. Milan, A., Schraven, B., Warner, K., & Cascone, N. (Eds.). (2016). Migration, Risk Management and Climate Change: Evidence and Policy Responses: Springer. Morrissey, J. (2009). Environmental Change and Forced Migration: A State of the Art Review. Oxford, UK: Refugee Studies Center, University of Oxford. Newland, K. (2011). Climate Change and Migration Dynamics. Washington DC: Migration Policy Institute (MPI). Null, S., & Herzer Risi, L. (2016). Navigating Complexity: Climate, Migration, and Conflict in a Changing World. Washington DC: USAID & Woodrow Wilson International Center for Scholars. Peters, K., & Viveknanda, J. (2014). Topic guide: conflict, climate and environment London: Evidence on Demand. Prieur, M. et alii (2008). Draft Convention on the International Status of Environmentally-Displaced Persons. Revue Européenne de Droit de l’Environnement, 12(4), 395-406. Saunders, D. (2010). Arrival City – The Final Migration and our Next World. Toronto, ON: Knopf Canada. The Government Office for Science (Ed.) (2011a). Foresight: Migration and global environmental change. Final Project Report. London: The Government Office for Science. The Government Office for Science (Ed.) (2011b). Foresight: Migration and global environmental change. Final Project Report: Executive Summary. London: The Government Office for Science. Warner, K., Afifi, T., Kälin, W., Leckie, s., Ferris, B., Martin, S. F., & Wrathall, D. J. (2013). Changing Climate, Moving People: Framing Migration, Displacement and Planned Relocation: United Nations University. Warren, P. (2016). Evaluating the ‘Climate Change Displacement Coordination Facility’: How the UNFCCC Can Address Forced Migration after Paris COP21. Columbia Law Review, 116(8), 2103-2144. Werrell, C., & Femia, F. (2016). Climate Change, the Erosion of State Sovereignty, and World Order. The Brown Journal of World Affairs, 12(2), 221-235. Werrell, C., Femia, F., & Sternberg, T. (2015). Did We See It Coming? State Fragility, Climate Vulnerability, and the Uprisings in Syria and Egypt. SAIS Review, 35(1), 29-45. Wilkinson, E., Kerbyshire, A., Mayhew, L., Batra, P., & Milan, A. (2016a). Climate-Induced Migration and Displacement: Closing the Policy Gap. London: Overseas Development Institute (ODI). Wilkinson, E., Schipper, L., Simonet, C., & Kubik, Z. (2016b). Climate Change, Migration and the 2030 Agenda for Sustainable Development. London: Overseas Development Institute (ODI). Williams, A. (2008). Turning the Tide: Recognizing Climate Change Refugees in International Law. Law & Policy, 30(4), 502-529. Zetter, R. (2011). Protecting Environmentall Displaced People. Developing the Capacity of Legal and Normative Frameworks. Oxford, UK: Refugee Studies Center, University of Oxford. Zetter, R. (2015). Protection in Crisis – Forced Migration and Protection in a Global Era. Washington DC: Migration Policy Institute. Following the G20 Summit in 2017, the United Nations International Organization for Migration (IOM), the International Displacement Monitoring Center (IDMC), the United Nations Environment Programme (UNEP), the Executive Committee of the Warsaw International Mechanism for Loss and Damage, and the Platform for Disaster Displacement improve coordination in their work and submit (joint) annual reports to the G20 on the dynamics of global environmental change and the temporary, protracted or permanent displacement and migration of people that it causes. The G20 countries establish clear responsibilities for climate migrants and refugees as well as other permanently displaced people (unable to return to their place of origin) within their governments and engage to improve international coordination. The G20 2016 Hangzhou Summit Communique (no. 44) states their commitment to address forced displacement & migration. The Platform on Disaster Displacement (as follow-up to The Nansen Initiative) maintains a collection of relevant documents. The Migration Policy Institute (MPI) has a web site view dedicated to climate change. The Forced Migration Review has dedicated issue 49 (Couldrey & Herson 2015) to Disasters and Displacement in a Changing Climate. For its conference on Climate-Induced Migration on 22-23 November 2016, the Fundazione Eni Enrico Mattei (FEEM) has built a bibliography. An independent report commissioned by members of the G7 that identifies seven compound climate-fragility risks that pose serious threats to the stability of states and societies in the decades ahead.